Pooja, Krishna and Sankar were my highlights of the day as we visited Delhi ministries. 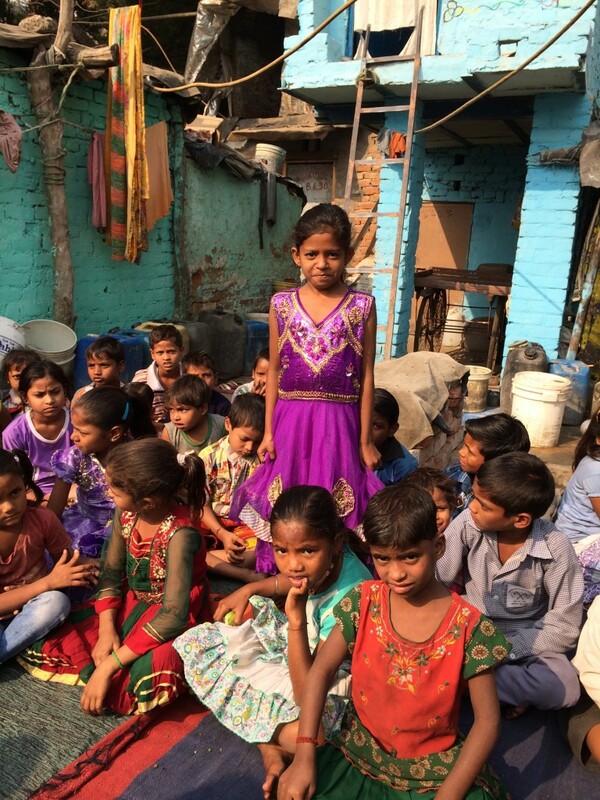 We began with a visit to an ASSI child care location in a slum area along the railroad tracks. I did a quick count of the children when were arrived; there were 27. By the time we left there were 53 crammed into a space that could not have been more than 20 feet by 12 feet. One of the girls who greeted us with an Indian dance was Pooja. Now 9 years old, we were told that at birth she was rescued from a toilet where she had been abandoned. Today, she is loved by her ASSI caregivers, and she knows that there is a God who loves her and in whose image she is made. Three years ago Pastor Victor had a single church of 40 believers. Today that church has 150 who attend, and he has planted 10 more churches and is mentoring 40 leaders. He has baptized 55 ex-drug addicts and his churches give care to 250 children. Tilak was previously a Hindu priest who worked in seven different temples. Jesus healed him from a terrible sickness. Today he leads 11 churches, operates an ASSI community learning center while he mentors 30 leaders. My favorite was Krishna. When he introduced himself I inquired if his last name was “K…” It was. I explained that I had prayed for him earlier this year when ASSI sent out a prayer request because he was experiencing serious persecution. When he heard that someone in the USA had been praying for him his face just beamed. Despite the threats, he has expanded the ASSI work into a neighboring state where he has planted 8 churches and is training 15 leaders. I closed the day with dinner with my friend Sankar. We worked together for a couple of years about 10 years ago when his Indian IT company had him posted in Indianapolis. We built a solid friendship, and my wife and I hosted him and his family in our home for dinner. Tuesday he took time away from work, drove some distance, and he even bought my dinner! It was great to catch up with him after being separated for seven years. Please join me in praying that he meets Jesus soon.